Plush Toys From The Movie Home Only $6.68! Ships FREE! You are here: Home / Great Deals / Christmas Deals / Plush Toys From The Movie Home Only $6.68! Ships FREE! 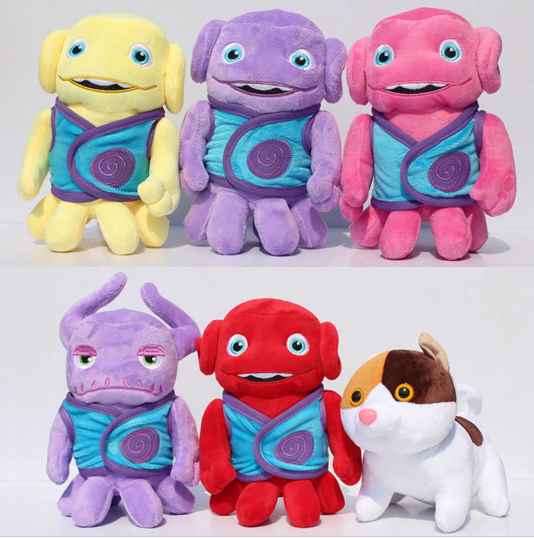 Shake your Boov thing with these cute plush toys from the movie Home. Approximately 8 inches tall, you can choose from Oh, Captain Smek, the Cat named Pig or others! Order any of these Plush toys From The Movie Home for Only $6.68! Shipping is FREE! Click here to check out more Great Deals!